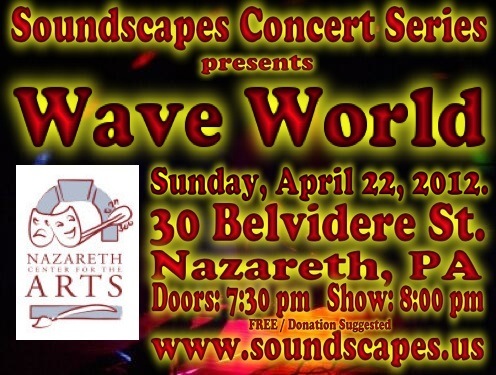 Here is the archive of Soundscapes Concert #16 featuring Wave World. It took place at the Nazareth Center for the Arts on Sunday, April 22, 2012. This page will be updated when media is prepared. Wave World came from the Netherlands and Canada. Their music was enhanced by their stunning animations.